and if you wish, the Hot Cross Buns or the Czech Easter eggs too. We would like to inform you today about a new trend in sealing consignments. Can you still remember the lick-and-stick tape? The paper tape, which adhered only after being water-activated? As your parents would tell you, everything returns one day :). 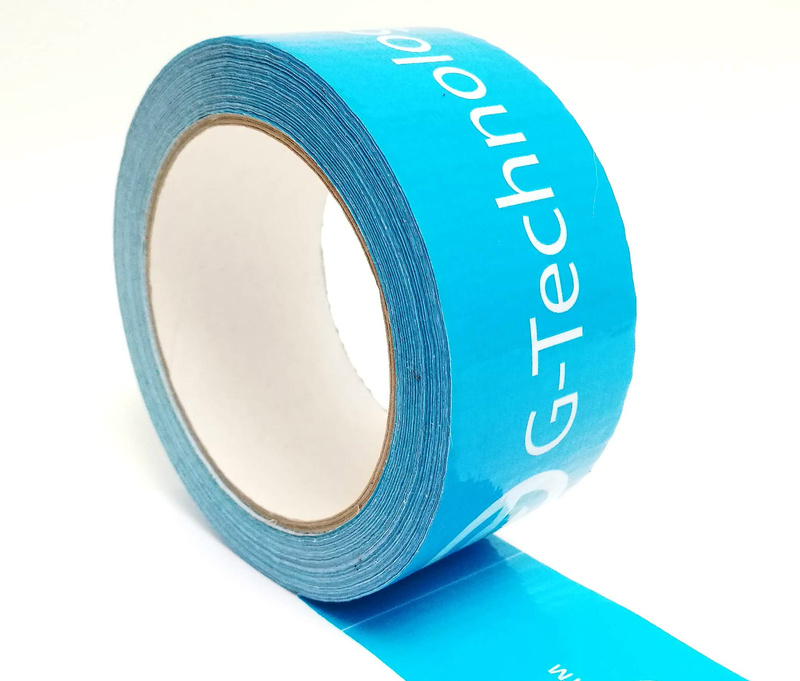 This water-activated tape, too, is currently becoming increasingly more popular and is celebrating its COMEBACK. The world of labels is very varied, and when someone says the label, they do not always think exactly the same as a colleague. The possibilities are great and we would like to realize our customers' ideas as accurately as possible. 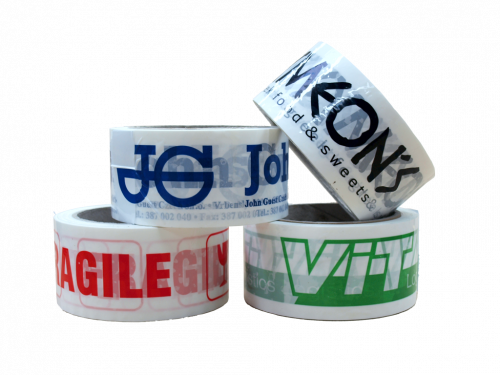 In the case of the adhesive tape printing has to be first the material basically defined. 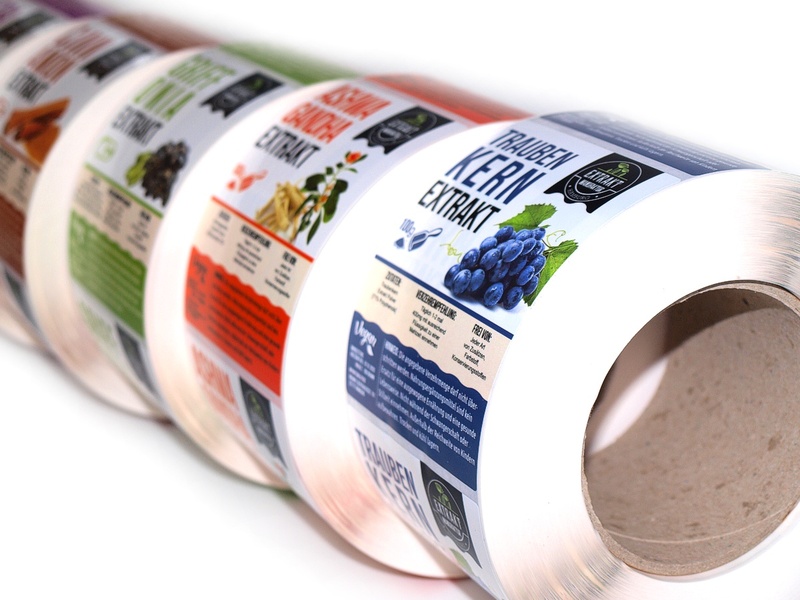 It´s printed almost exclusively with flexographic printing technology and the decisive factor is the volume of the order. 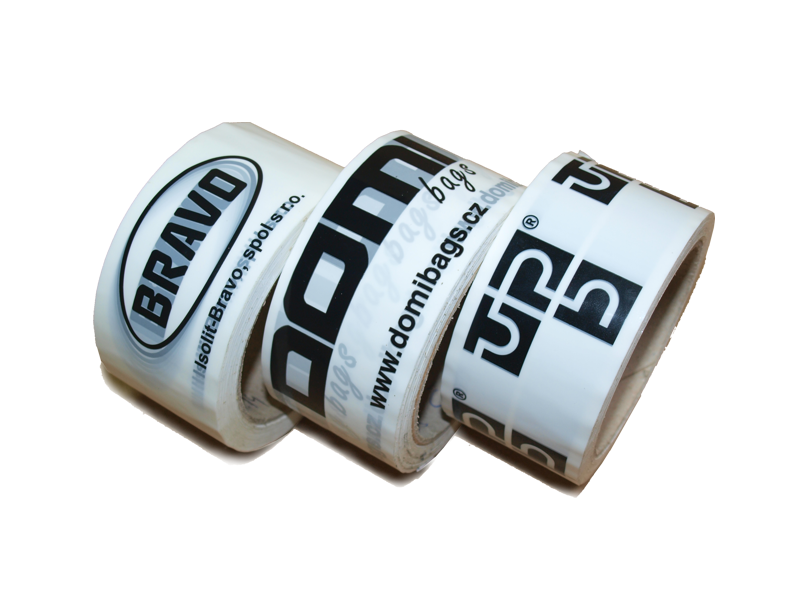 For large quantities of BOPP adhesive tapes, the foil is first printed on a jumbo roll without adhesive. On the printed foil on the side of the pressure is then applied the adhesive.Therefore, this technology is also called inter-layer pressure or sandwich-pressure, because the color is between the foil and the adhesive. 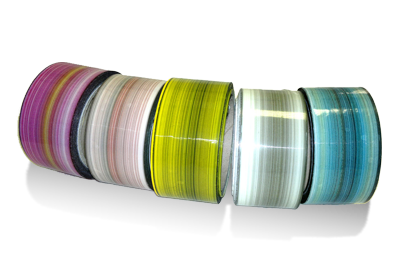 For smaller volumes of BOPP, for PVC or paper tapes, the material is already prefabricated (adhesive is already applied) and it´s cutted into smaller rolls.The material is then printed and cut to the final size of the tape. 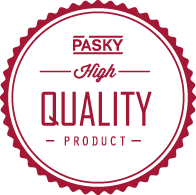 Printing on adhesive tapes, barrier tapes or warning tapes, labels and printed cartons is our domain.We produce according to the wishes of our more than seven thousand customers in the Czech Republic and abroad. enable different positions at public events, events or on construction sites shut off. You will quickly and easily find the price for your printed adhesive tapes in our online price calculator.If you need labels, please go to our online form and we will send you a calculation immediately.We regularly publish interesting articles in the packaging industry, especially about tapes or labels.All materials have their peculiarities and if you have questions, we will be happy to advise you. In order to be able to offer you a complex service in the segment of packaging for your consignments, we offer various packaging materials at advantageous prices. It is for example possible to choose printed cardboard and a standard unprinted tape or unprinted cardboard and a tape printed according to your ideas. It is possible to wrap a consignment in cardboard into bubble wrap from our portfolio, to attach transparent self-adhesive pockets to a slotted box and then to secure the entire palette with stretch foil from our product portfolio.